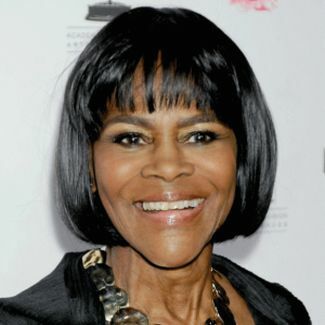 Critically acclaimed actor Cicely Tyson was born in Harlem New York City, New York on December 19, 1933. She is the daughter of William and Theodosia Tyson. Her father was a carpenter and her mother was a domestic. Her parents were immigrants from Saint Kitts and Nevis in the West Indies. After graduating from Charles Evans High School in Manhattan in 1951, Tyson landed a position as a secretary for the American Red Cross. Unsatisfied with the work, she enrolled in the Barbara Watson Modeling School to pursue a career in modeling. By the late 1950s, Tyson had become one of the top black models in the United States. Her face appeared on the cover of black oriented magazines such as Ebony and Jet. While waiting in the offices of Ebony Magazine she was encouraged to audition for a role in the film, The Spectrum, which discussed conflicts between dark and light skinned blacks. Tyson won the role but The Spectrum was never completed due to financial problems. This experience however persuaded Tyson that she should pursue a career in acting. Tyson began her career on the stage. In 1961, she appeared in the original cast of French playwright Jean Genet’s The Blacks which became the longest running non-musical of the decade with over 1,400 performances. In 1963 at the insistence of academy award winning actor George C. Scott, she became a part of the cast of East Side/West Side of which Scott was the star. That film came in 1972 when she was cast in the role of Rebecca Morgan in Sounder. The film examined the life of a Black family in the Depression-era South with dignity and compassion. Tyson’s performance garnered positive reviews from critics and she was nominated for both an academy award and a golden globe award. In 1974, she broke new ground for black actors when she received an Emmy award for her portrayal of the character Jane Pittman, based on a novel written by Ernest J. Gaines. Her performance made her one of the premier actresses of her generation. Tyson appeared as Coretta Scott King in the 1978 movie King opposite actor Paul Winfield. Other acclaimed movie roles included Roots, The Marva Collins Story, When No One Would Listen, and The Oldest Living Confederate Widow Tells All. The latter performance in 1994 earned her a third Emmy award. In 1994, Tyson starred in the short lived television series, Sweet Justice, opposite Little House on The Prairie star Melissa Gilbert. Other performances that year included Because of Winn-Dixie and Diary of A Mad Black Woman. It was also during this year that she was honored at Oprah Winfrey’s Legends Ball. Fiercely guarded about her privacy, little is known of Tyson’s personal life. She was briefly married to the late jazz trumpeter Miles Davis in 1981. The couple divorced in 1988. She is also committed to community involvement. She founded the Dance Theater of Harlem along with Arthur Miller. She is also a member of Delta Sigma Theta Sorority. In 2010, Tyson was the recipient of the Spingarn Medal from the NAACP. Three years later in 2013, Tyson received a Tony award for her Broadway performance of Carrie Watts in The Trip To Bountiful. She also won the Drama Desk Award as well as The Outer Critics Circle Award for the role as well. Cicely Tyson continues her acting career. http://www.biography.com/people/cicley-tyson-9512950 November 20, 2013, Gale Contemporary Black Biography.